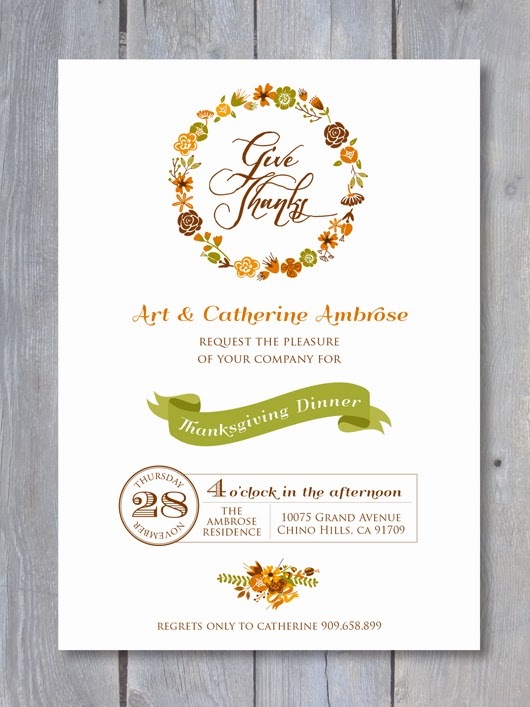 Introducing a brand new Thanksgiving Printable Invitation design. This is my first Thanksgiving design, I love the fall colors and wreath. The design is simple, warm, friendly and inviting. This printable invite is now available in my Etsy shop. Files are personalized with your details – just PRINT, TRIM & CREATE. More coordinating printables to match coming soon!